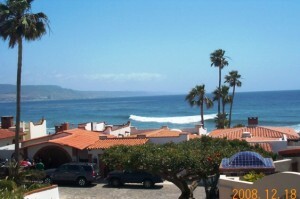 Bella Vista is a beautiful 2,700 square foot, 4 bedroom, 3 bath home situated just one row back from the beach! 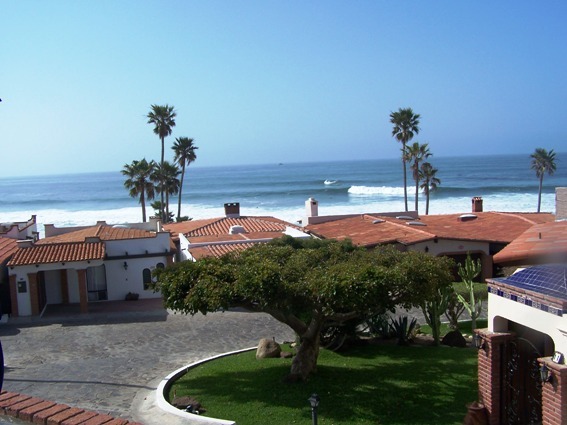 Enjoy the captivating ocean views from the master bedroom, living room, and spacious deck! 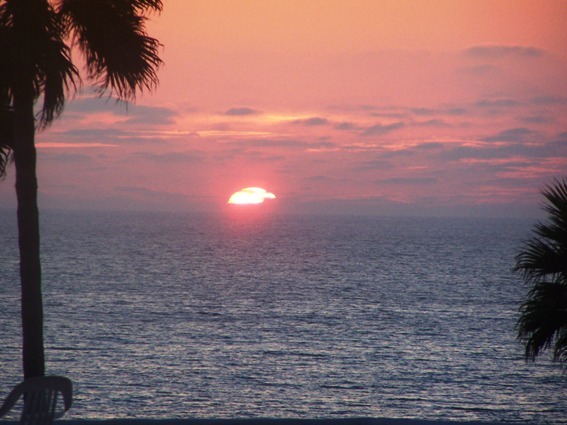 Work from the beach with high speed wireless internet access. 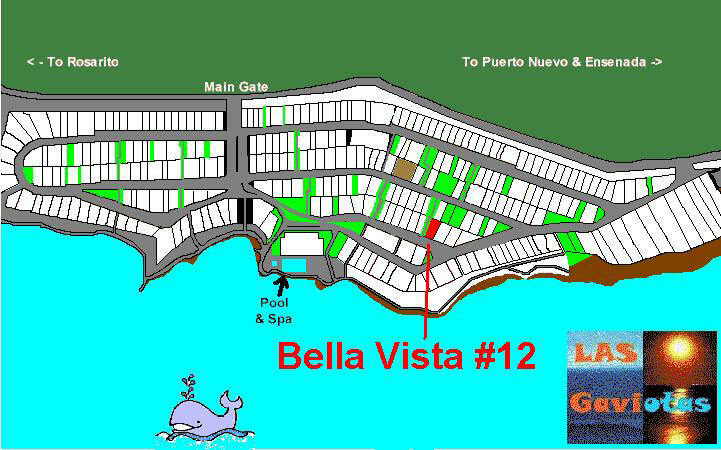 Bella Vista has 3 large bedrooms and 2 bathrooms upstairs while the downstairs has a complete one bedroom apartment with a separate entrance. Each is independent and separate. 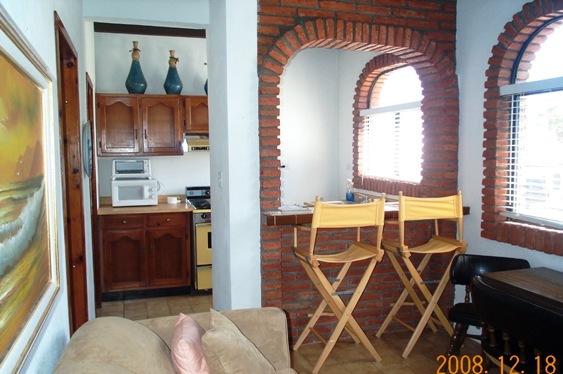 You can rent the house as a 4 bedroom, 3 bedroom, or 1 bedroom. 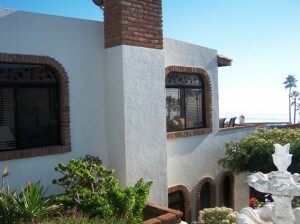 As the owner’s personal vacation home, it is extremely well equipped with all the amenities you will need. 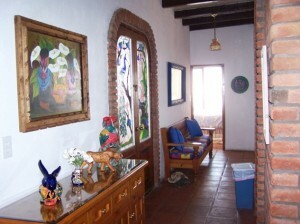 For larger groups, you can also rent Villa Tortuga, our 3 bedroom house next door. 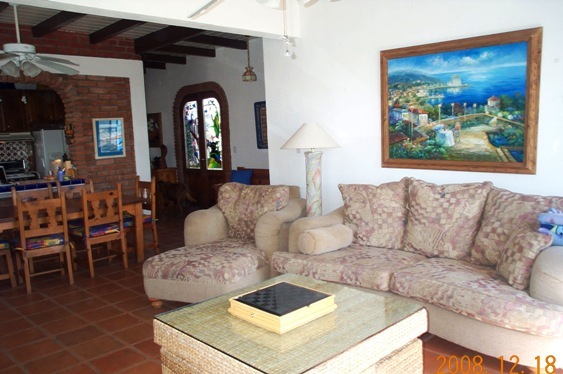 The living room is well equipped with sofa, loveseat, and chaise lounge. Enjoy the large TV, DVD, VCR, and stereo. 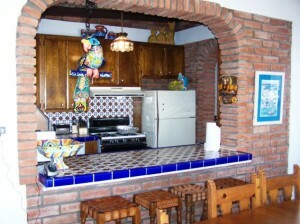 The kitchen in well equipped with both a Keurig coffee maker and a drip coffee maker, gas burners, oven, refrigerator with ice maker, toaster oven, dishwasher, microwave, and blender for margaritas. In addition, a stainless steel gas barbecue and charcoal Weber grill are in an inner courtyard. Ceiling fans in all room keep the house cool throughout those summer days. 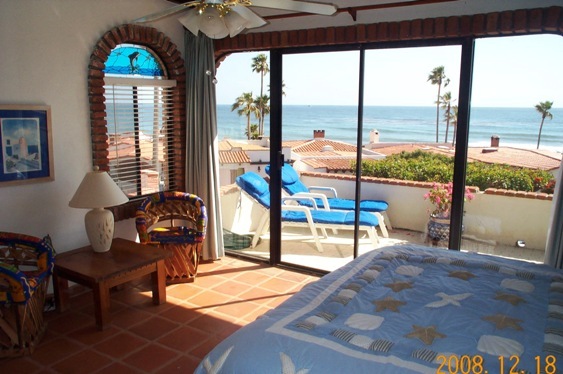 The master bedroom suite has exceptional views, a new king size bed, a sitting area, ceiling fan, and its own bathroom. 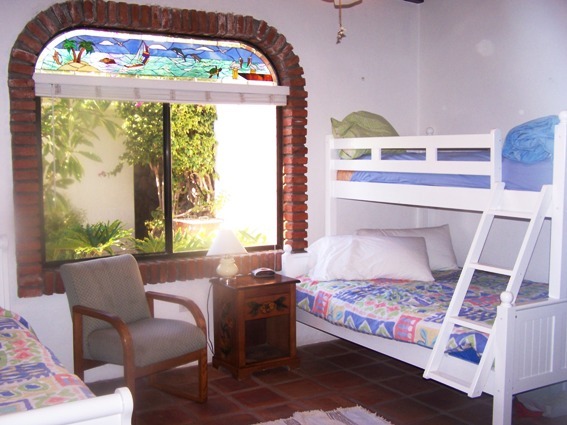 The second bedroom has a double bed and three twin beds. Lots of sleeping! But remember, the complex only allows a total of 8 people in a 4 bedroom house. 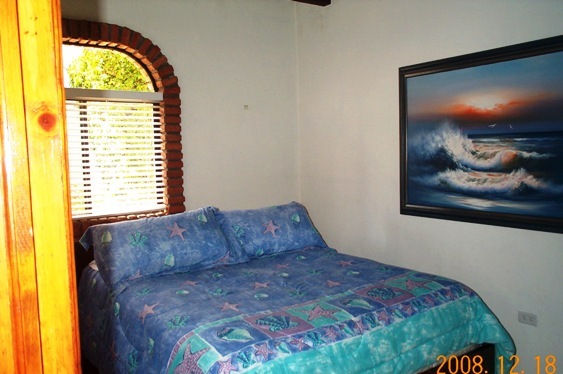 This bedroom also contains a large TV, DVD player, and ceiling fan. 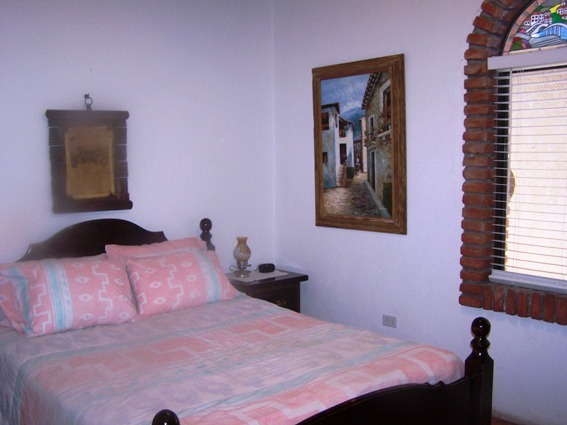 And, the third upstairs bedroom has a queen size bed, and of course a ceiling fan! Both of these bedrooms share a full bathroom. 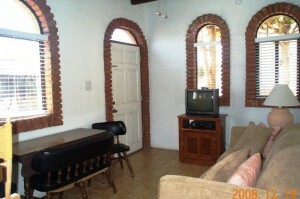 Another fully equipped kitchen, full bath, sofa sleeper, TV and DVD/VCR. And another queen size bed – also brand new! 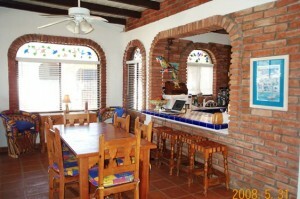 Ceiling fans are also in both rooms. The deck contains a table with umbrella, sitting chairs and two chaise lounges. 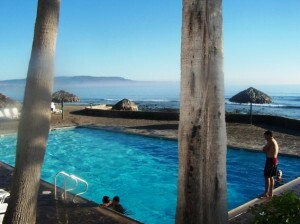 All linens and towels are included. This is a no-smoking house – decks only please! Need two houses together? 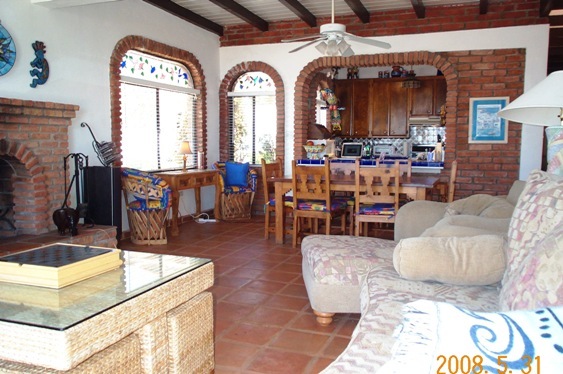 You can rent Villa Tortuga and this 4 bedroom home! 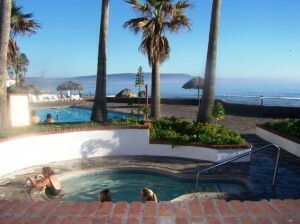 Or try our oceanfront villa at Calafia. Maximum occupancy: 8 if you rent the upstairs AND downstairs. 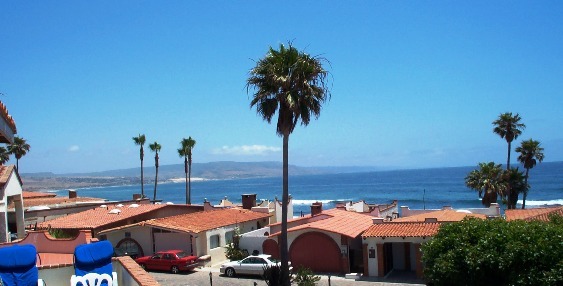 ONE FREE WEEK NIGHT WITH A 1 WEEK RENTAL! Payment through check, cashier’s check, PayPal or bank transfer. 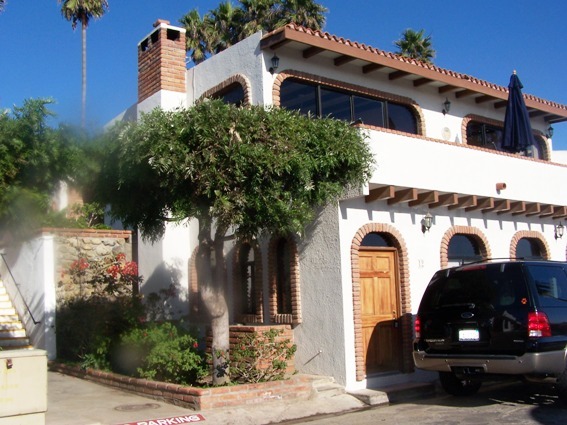 Security Deposit $200 – Refundable if no damages or fines. If you prefer, you can email digarcia@aol.com or call Diane at 408-921-4243.